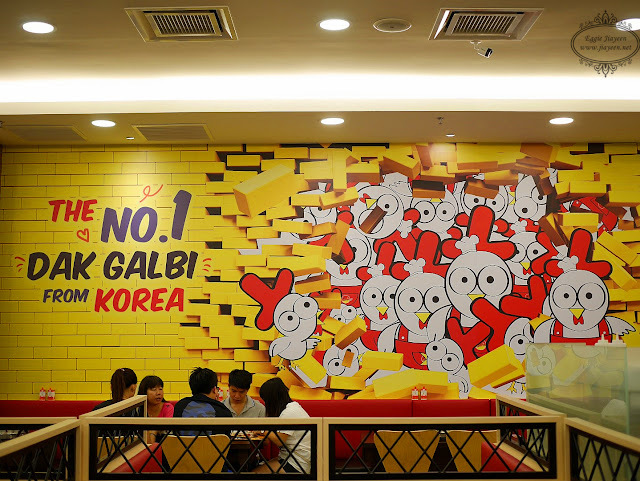 (Food Review) Yoogane Dakgalbi is now opening in 1 Utama, Malaysia! Enjoy 10% off your bill now! Yoogane is a restaurant established way back in 1981 and it's becoming more and more famous of its delicious Dakgalbi in Busan, Korea. 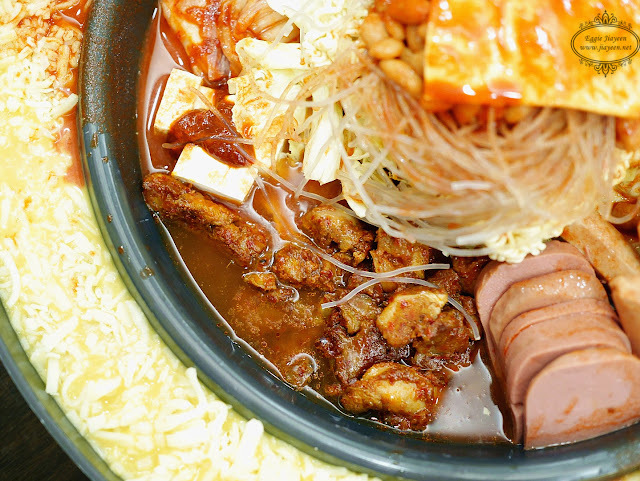 As you may know, Dakgalbi is tasty and spicy stir fried dish consisting of marinated chicken with its signature unique blend of sauces and seasonings, assorted vegetable and fragrant rice. 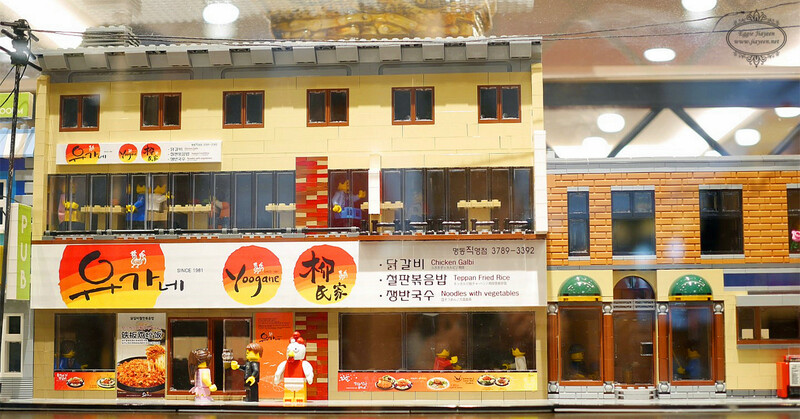 In view of its fame in Busan, Yoogane decided to step foot into the other part of Asia. 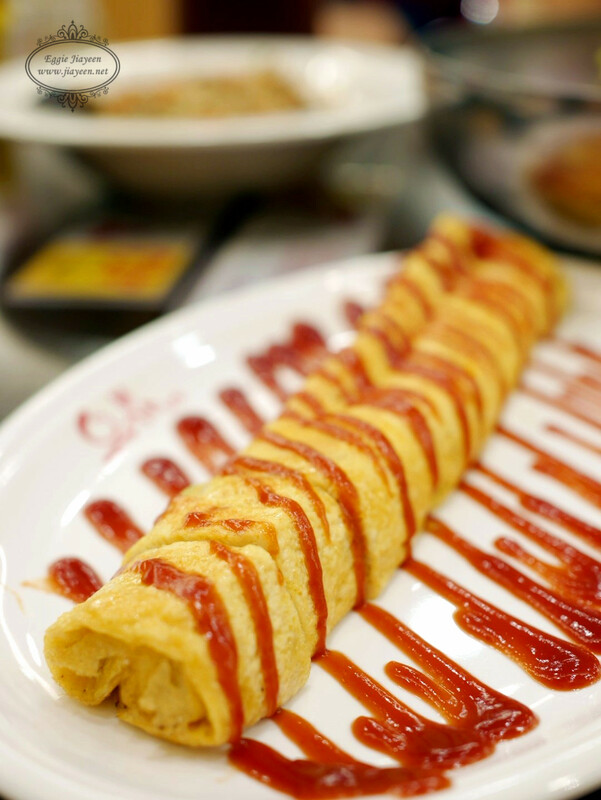 Hence, it left its footprints in Singapore by opening in total 4 outlets with its 5th outlet on the way. 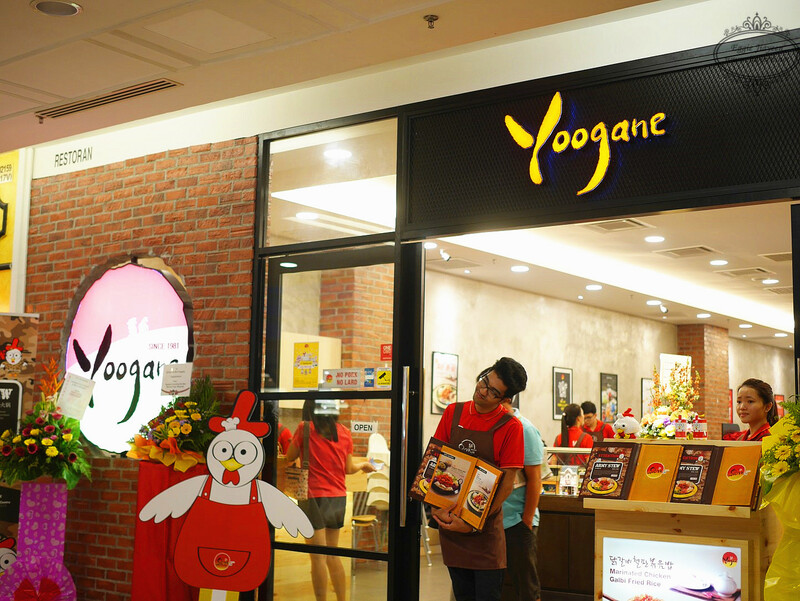 The next stop was Malaysia with its 1st outlet opened at 1 Utama last December. The cute Yoogane's HQ model set welcomed us with its cuteness and uniqueness. It gives us a sense of how the shop looks like back in Seoul Myeondong . I personally like the Kimchi and Pickled Vegetable. I can eat them all day err day. 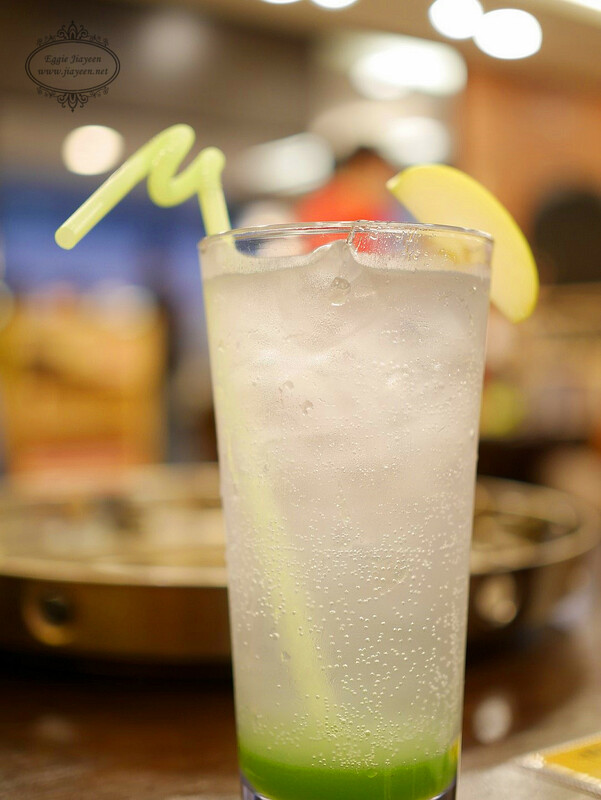 Great for sharing and whoever who wants a refreshing sensation after having Dakgalbi. 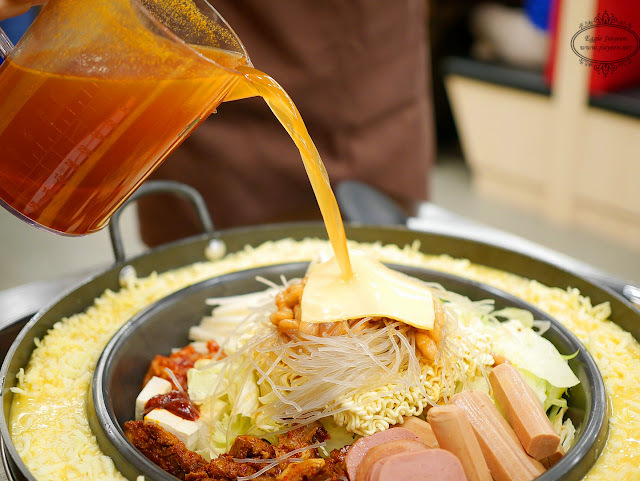 Yoogane's unique spicy sauce marinated with tender chicken meat and fresh vegetables, surrounded by a ring of melted cheese for the extra cheesy sensation. Say cheese! 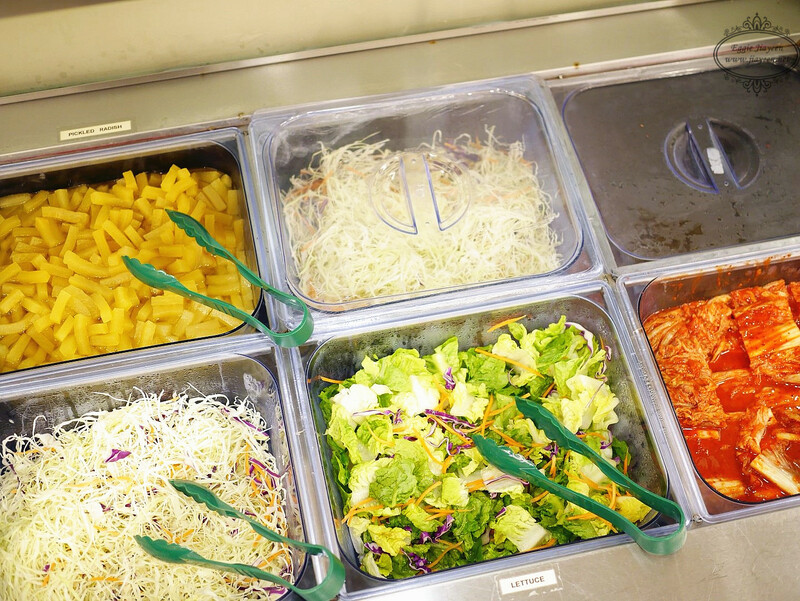 The Dakgalbi is great with/without the cheese! 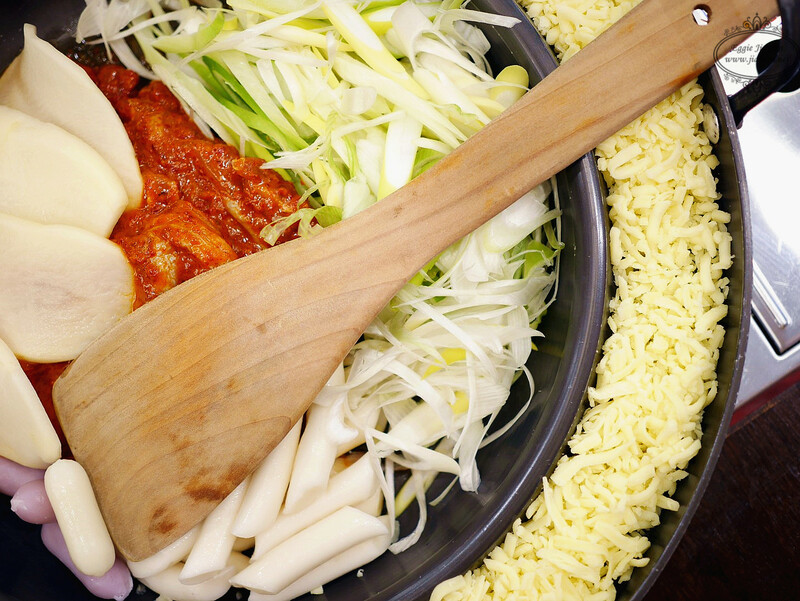 Authentic Dakgalbi should be savoury and a touch of spicy instead of sweet spicy sauce. 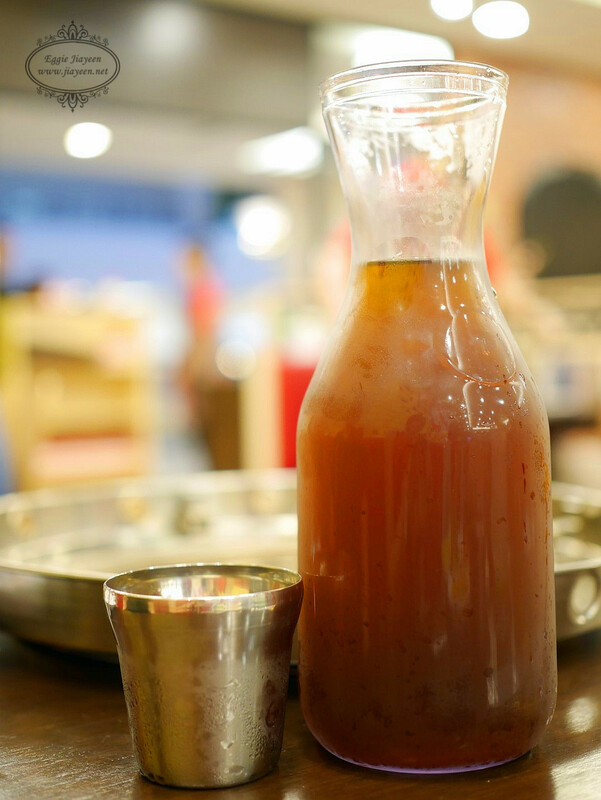 I like the perfect blend of savoury and spicy taste of the Dakgalbi. Especially when the chicken meat is soft and tender while the rice cakes are chewy and absorbed the sauce! With the layer of melted cheese provides you the extra cheesssssssy taste and ohm! Indulge yourself into Yoogane's unique spicy sauce marinated chicken, chicken luncheon meat, sausages, baked beans, kimchi, fishcakes and beancurd! Not forgetting the combination of ramyeon and glass noodle, surrounded by a ring of melted cheese and egg wash! Army Stew and Dakgalbi are different. They might look similar but they are not. One is stir-fried whereas another one is soup-based. As long as they are yummy! I felt so warm having Army Stew with its perfect combination of ingredients, especially the kimchi and fishcakes! 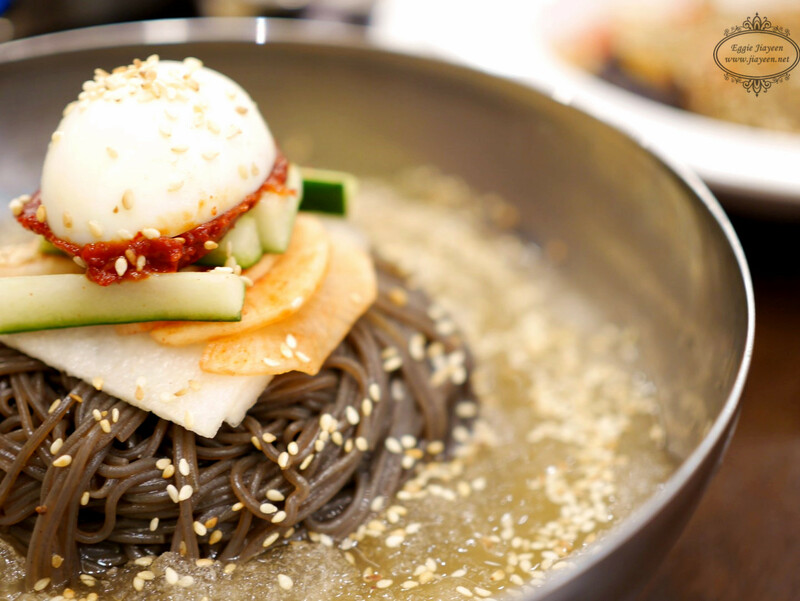 It is quite rare to find Korean Cold Noodles in Malaysia. Something to take note of this dish - DO NOT LEAVE IT as the last dish to indulge into! The taste is good if you want a refreshing savoury taste with a touch of spiciness. It is one of the popular dishes among the females. The fried rice is another yummy dish to order! If you want something not spicy at all, order "Bulgogi". Of course, they have options for Dakgalbi fried rice too. 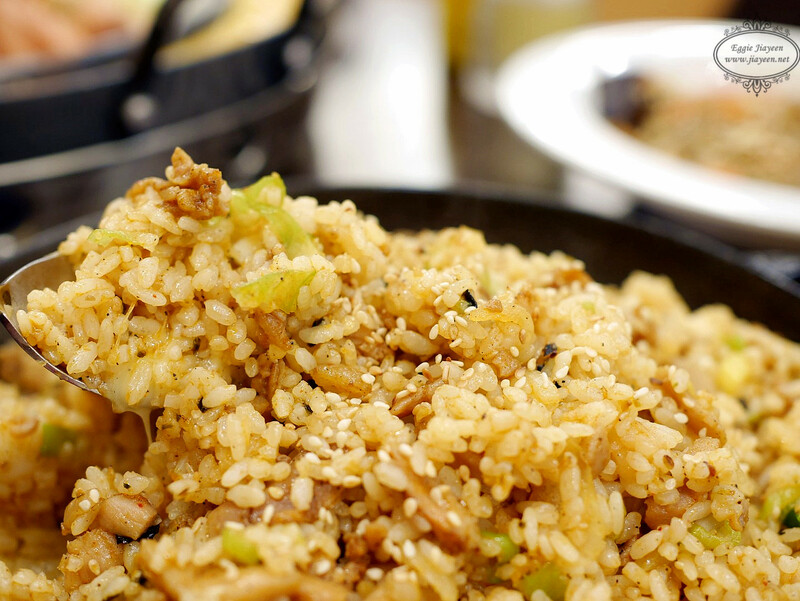 The most important factor for a good plate of fried rice is the "wok hei". Surprisingly, this plate of fried rice has it all, along with the soft and tender marinated chicken strips and.....CHEESE at the bottom of the rice which gives you a little cheesy sensation but not overwhelmed. 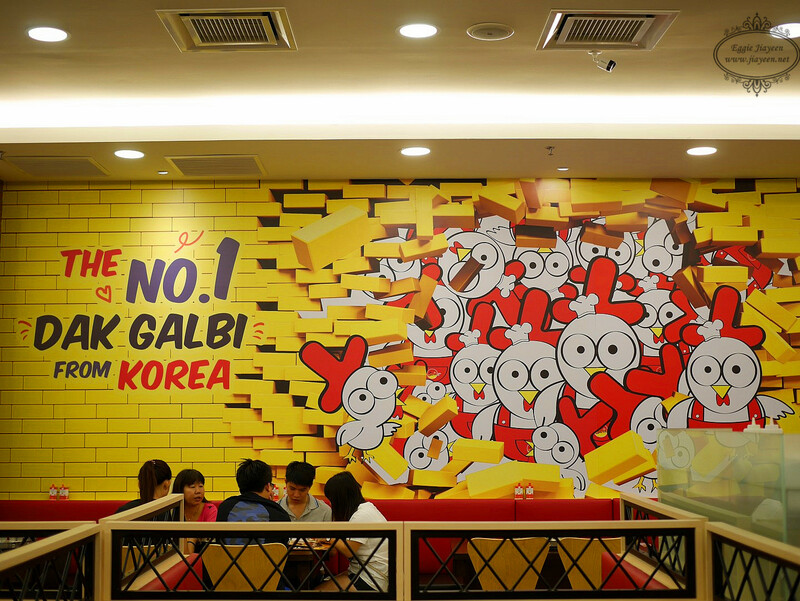 If you ordered Army Stew/ Dakgalbi, you can choose to order only 1-pax portion of fried rice. 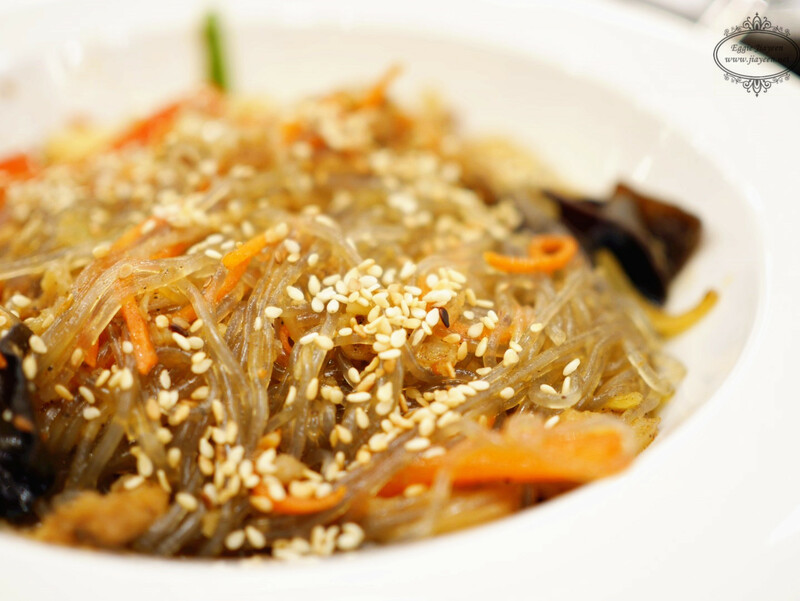 Stir-fried bean vermicelli with assorted vegetables and tender chicken strips. I personally like this because of the strong peppery taste with the silky bean vermicelli. If I don't feel like having Dakgalbi, I would order this as my meal. No, you do not have to cook it on your own because you might not have the knowledge to cook it well. They are trained to do these jobs. Let the professionals perform their tasks. Just sit back and relax while enjoying the chat with your friends/ family. Look! 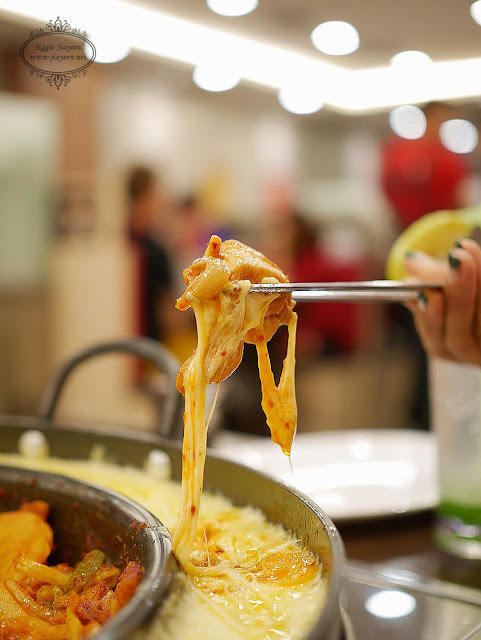 Look at the melted cheese circulating the soft and tender chicken cutlet! Oh wait, that is Japanese. The cheesy strips.....is really really tempting! They are giving out these cute paper decorative items too. You can choose to fold it on your own or just get the readily-folded ones. Good food are meant to share with friends. 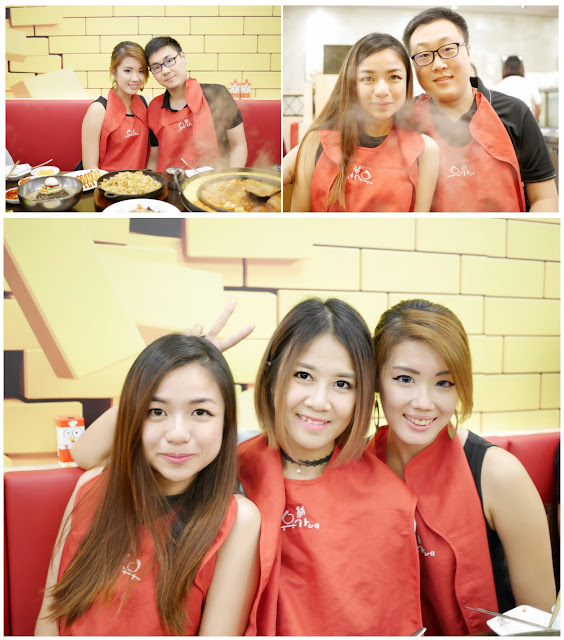 Good food taste even better with a good bunch of friends. Thanks for satisfying my craving for a good Korean Dakgalbi. I enjoyed the time and good food with you guys.